A couple of weeks ago, Jelynn posted up some new information on a movie she is shooting called Grizzly Park. According to an interview Jelynn did (see below), the movie is about a group of young people forced into doing community service in the woods. Jelynn plays Kiki, a young girl who... *gasp! * poisened her mother. I'm so shocked. It's almost unbelievable, even just as a character in a movie, but I guess we shall see. 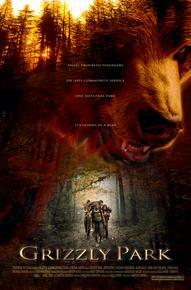 I'm assuming the movie will involve a grizzly bear or two. I hope Jelynn doesn't get eaten or something. Anyway, the movie will probably come out in 2007. I'm looking forward to it, even though, in all honesty, horror movies scare the hell out of me. Until then, Jelynn has posted some great behind-the-scenes photos of the shooting in some slideshows on her myspace. The interview I mentioned before can be found at about.com. Click here to watch the 2 minute clip of Jelynn at the red carpet premiere of Texas Chainsaw Massacre.